This project has been abandoned and will not receive updates! 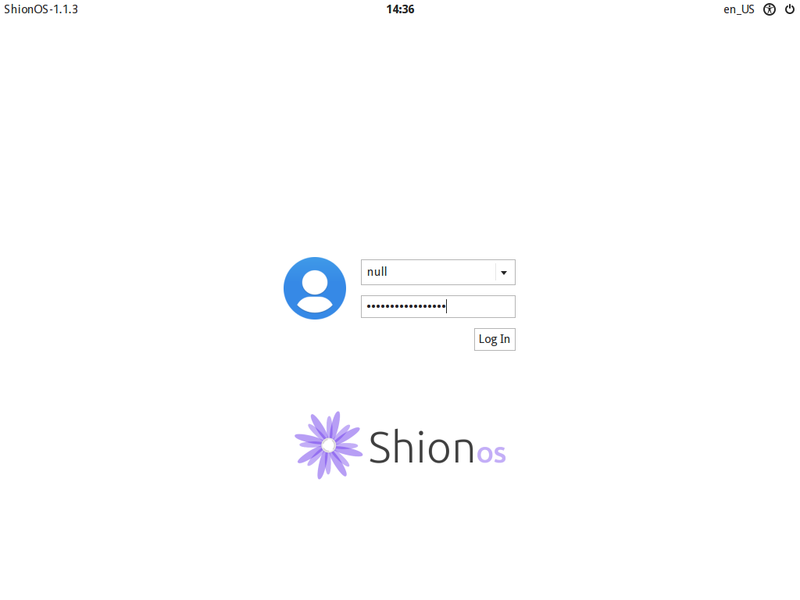 Shion OS is a project I have been working on to create a fast and beautiful Linux based operating system that excels at getting things done quickly and efficiently. Shion OS currently uses Ubuntu 15.10 repositories in addition to its own due to the reliable quick package updates provided by Canonical. Shion OS uses a modified XFCE 4.12 desktop environment with LightDM display manager and a number of hand picked features, tweaks, and applications. I've build my own GTK+ UI theme for Shion OS designed to be clean and un-cluttered with consistency and ease of use in mind. I have put together what I believe to be the most efficient multitasking system used by any modern day desktop operating system. There are 4 virtual workspaces which can be used to organize and categorize different types of workloads. Hotkeys make switching and moving applications between them instant and the workspace switcher can be easily accessed next to the "App" menu on the Panel. There is an application switcher on the Panel which displays currently running application with an icon and description making switching between running applications easy. Alternatively applications can be switched using hotkeys so you never have to take your hands off the keyboard. The application switcher shows only the applications running on the active workspace, however there is a handy drop down menu between the workspace switcher and application switcher which displays all running applications and groups them by what workspace they are on. All of this is located in the top 24 pixels of the screen making it quicker to look and navigate to from UI in programs which is generally also located near the top of the screen. Hotkeys are a big part of how efficient an operating system can be to use. I've implemented a hokey system using logically chosen keyboard keys. Below is a list of some of the most often used ones. 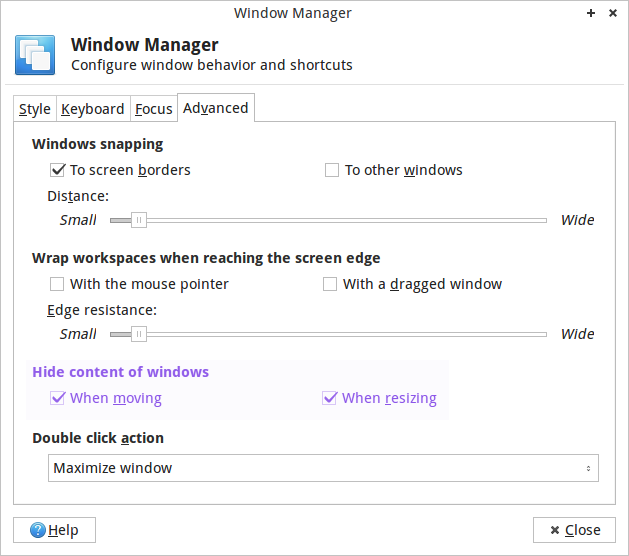 Move active window between workspaces. In most cases, animations are slow and useless in a desktop operating system. They take milliseconds of your time away and make you wait for them to finish before you can continue doing more important things so I have done away with all animations wherever possible. Because Shion is Debian based, it can run a wide variety of applications, it comes with the Ubuntu software repositories so you can install most of your needed software through apt-get or a package manger. With WINE you even have the capability to run many Windows programs. A great GUI package manager that allows you to easily search, install, remove, etc. packages and manage software repositories. Sakura is a simple terminal emulator which has a very clean UI, features tabs, and is very customizable. 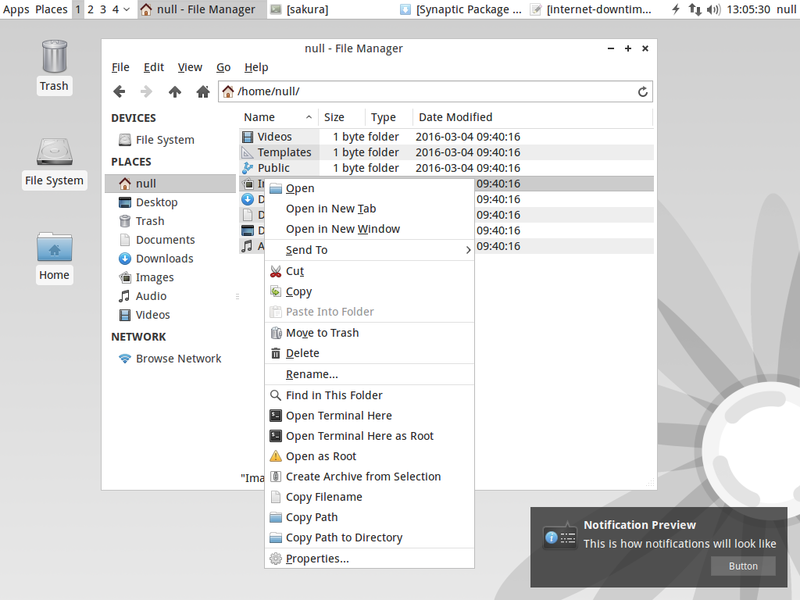 Thunar is a powerful yet light file manager. It has a clean and customizable UI and comes with features such as advanced bulk rename capabilities and natively supporting connecting to network servers via SFTP and other protocols. Gedit is a feature rich text editor that excels at things like scripting and modifying system files. Highly customizable and powerful web browser. A feature rich Email client which makes it very easy to manage multiple email accounts and organize your emails. A media player that can play virtually anything with features like transcoding and streaming to and from network servers. A music player which makes it easy to manage large libraries with a number of useful options to configure. A torrent client with a clean UI. Feature rich image viewer with support for nearly all image types. An advanced image editor with many features and plugin support. A highly capable vector graphics program. Office application suite with a document processor, spreadsheet, and more. A clean and functional calculator with multiple modes. Use the "Live" option to install Shion OS, once the live environment boots up, search for "Install ShionOS" in the "App" menu to start the installer. If you have trouble with the live environment due to hardware limitations only then should you use the "Install" option. The "Install" option loads with only very basic drivers and with-out many system and partitioning utilities. I recommend using JFS file system for maximum performance for Shion OS, EXT4 and BTRFS are also good alternatives. After installation you should check for updates and install any upgrades that were made available after the latest ShionOS iSO was released. You may do this by running the following command in a terminal or by using the graphical package manager "Synaptic Package Manager" Do this from time to time to keep ShionOS up to date. 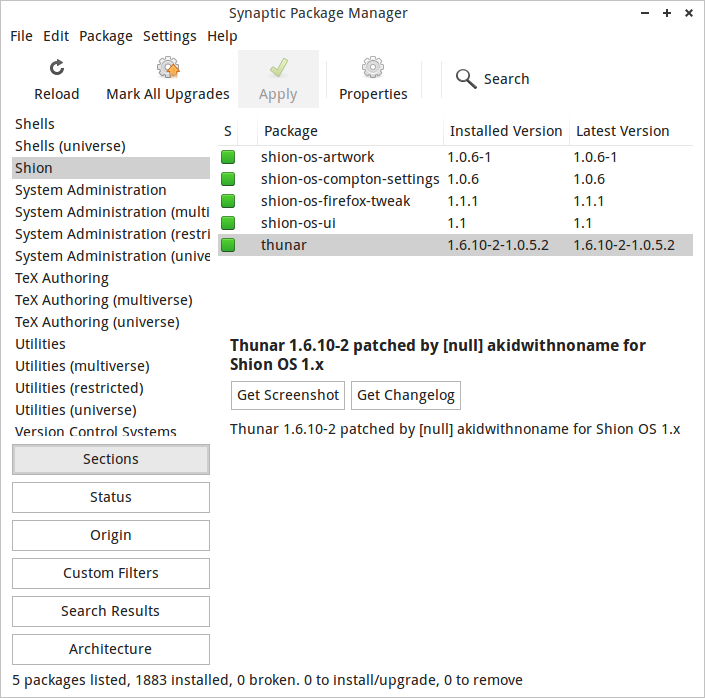 You may wish to check for newly released ShionOS software in the "Shion" section of "Synaptic Package Manager" as shown below. Setting XFWM4 to not display window content when moving and re-sizing windows is a good way to increase snappiness. I like to enable these options but I have them disabled by default because its more of a niche setting. 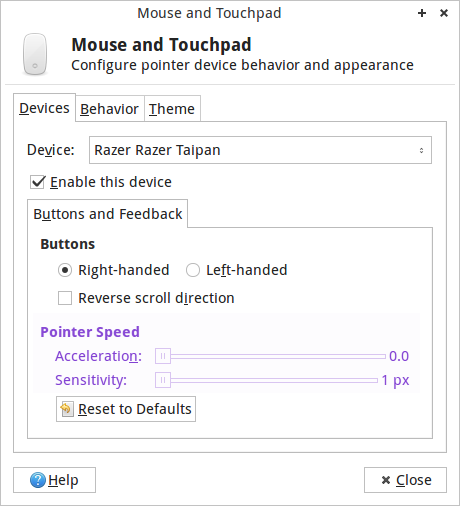 If you have a decent mouse, you probably don't want mouse acceleration, I recommend disabling it straight away.